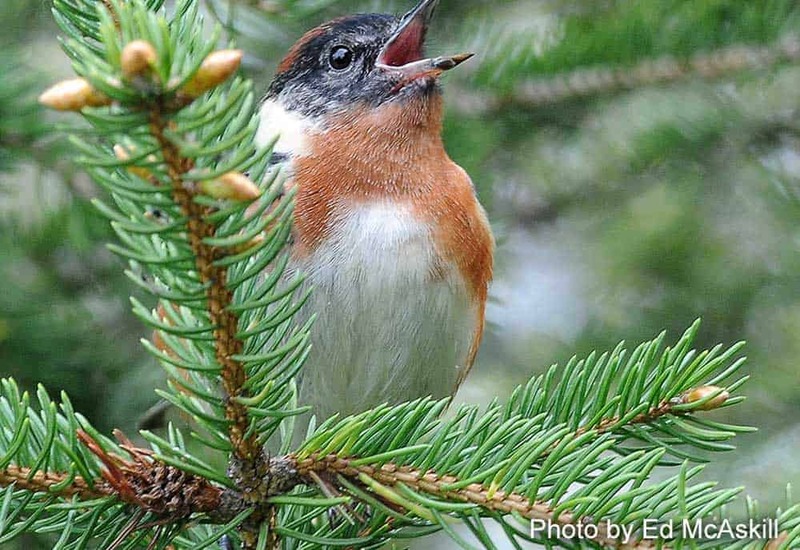 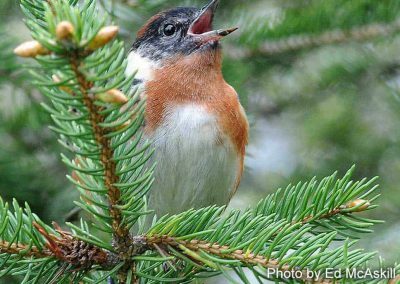 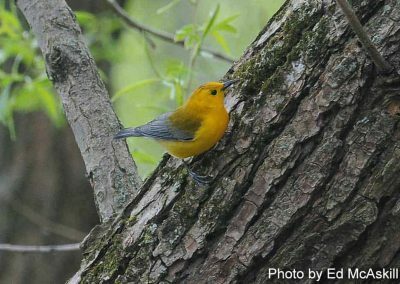 Thickson’s Woods has always been about the birds and a remarkable 318 species have been recorded which is almost 70% of all the birds recorded in Ontario. The large White Pines of Thickson’s being an attraction to northbound migrants, especially the 39 warbler species recorded in the Reserve so far. In the 1980’s the Toronto Ornithological Club conducted warbler surveys in TW and we have reinstated the survey. 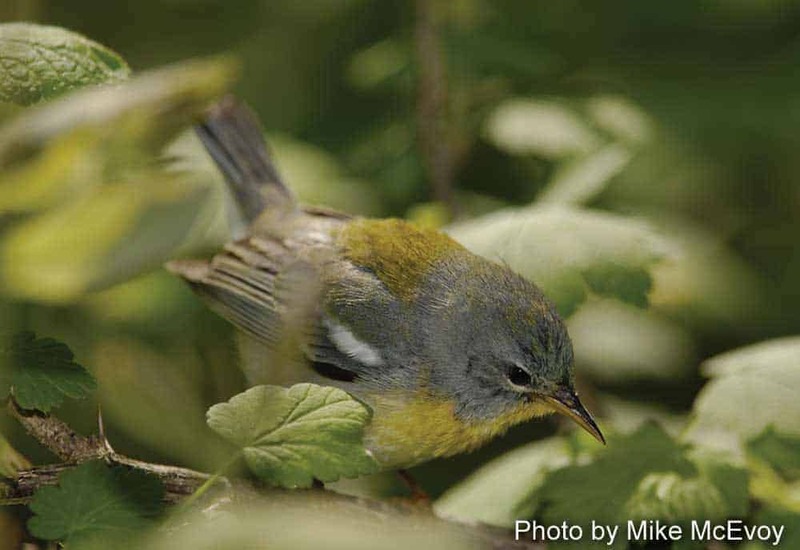 Walking transects through the Reserve we are recording data by counting all the warbles we see and hear during May. 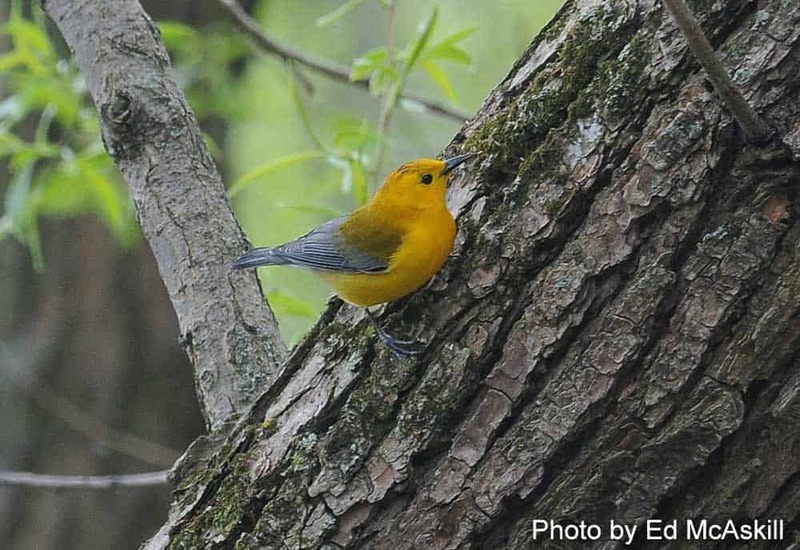 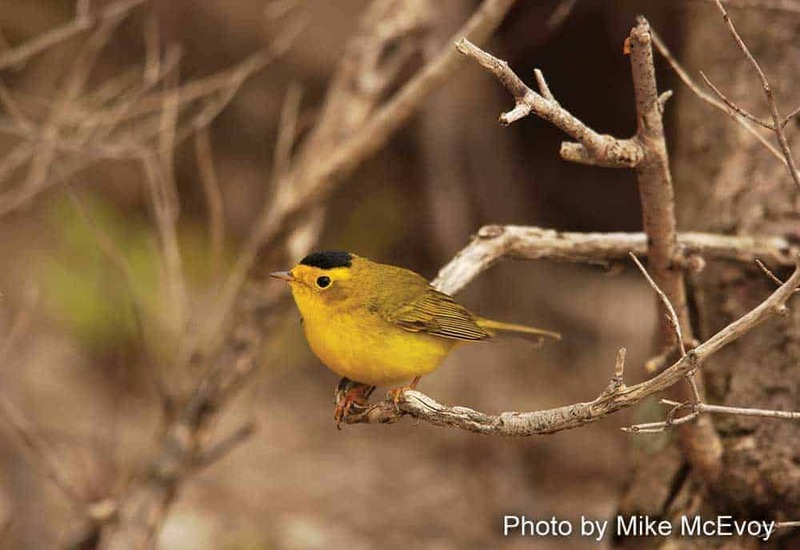 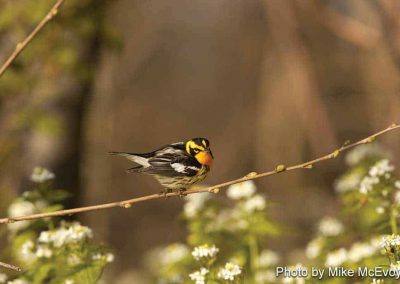 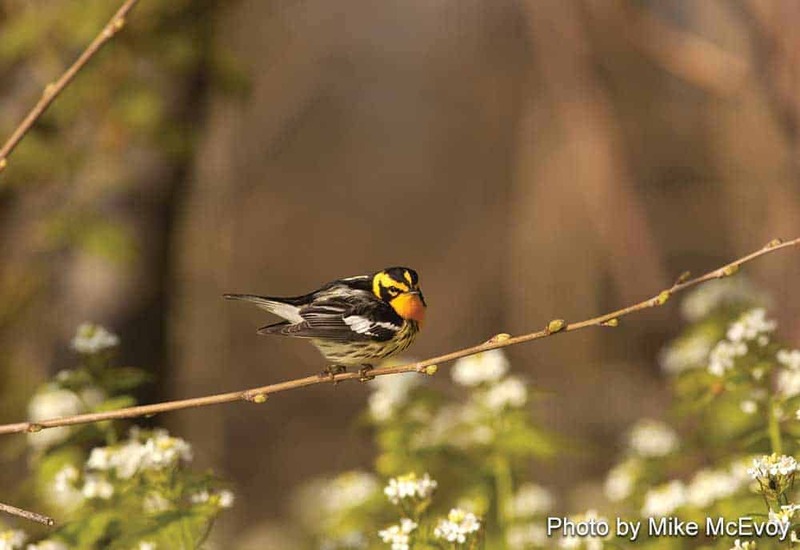 Over time we can compare current data to see what tangible changes have affected our most vulnerable species since the data collected during the 80’s like this rare Prothonatory Warbler and beautiful Blackburnian Warbler. 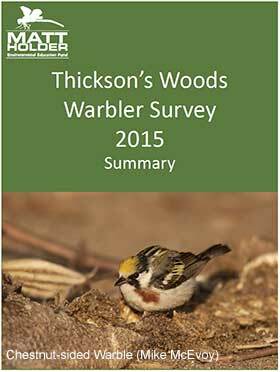 Survey results are published in the newsletters.